"My brother and I stayed until there were 100 foot flames right there and I turned to him and said, 'Let’s go.'" The fast-moving Holy Fire, which exploded to 18,137 acres overnight and was only 5 percent contained Friday, claimed a house above Lake Elsinore off Ortega Highway. The home is among 13 structures lost in the arson-related fire that erupted Monday afternoon. "I found some forks that weren't melted. No dishes," homeowner Dan Pritchett told NBC4. On Friday, while sitting in what used to be his living room, Pritchett recalled the fire’s advance and how he and his brother escaped with their lives. Dan Pritchett spoke to NBC4 from what was his living room. 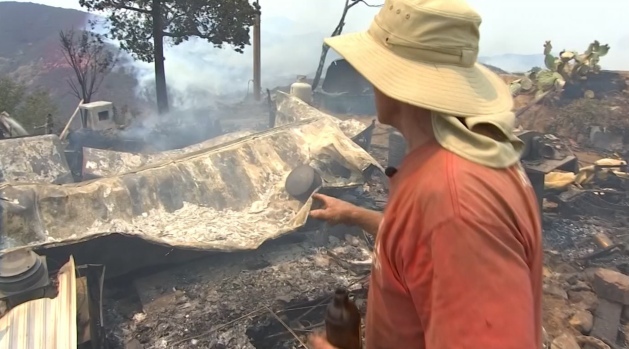 He recalls seeing the Holy Fire advance and how he and his brother escaped with their lives. A veteran of living in the mountains, Pritchett has seen fire before, but nothing like this and so close. The man suspected of starting a wildfire in Cleveland National Forest appears in court Friday Aug. 10, 2018. 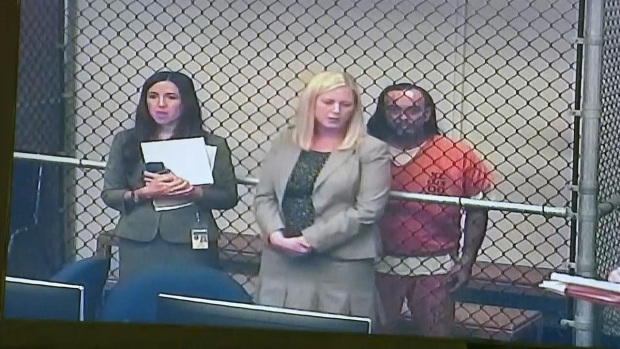 Forrest Gordon Clark's arraignment was postponed during a brief hearing in Santa Ana. "It’s loud. It’s really loud … One hundred foot flames right in front of me." While surveying the ashes of his home, he spots his favorite cup, picks it up and drops it to the ground. "I lost everything, but I will rebuild," he said. Friend set up a gofundme site to help raise funds for the recovery.